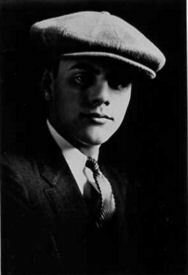 Joseph Stanley Pennell was born in 1903 in Junction City, where he graduated from high school. The son of pioneer stock, his mother "did a lot of travelling in covered wagons" while his father came to Kansas from North Carolina when he was 16. There was an array of grandfathers, great-grandfathers, and great uncles among his antecedents who fought - some for the Union and some for the Confederacy - in the Civil War. 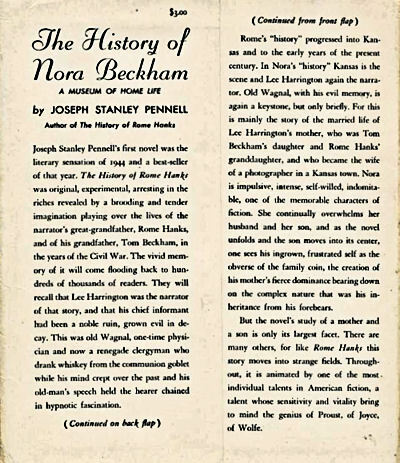 Pennell entered KU in 1922, and, impressed with English literature, went to Britain, was accepted at Oxford and studied there for three more years. Returning to the US, he worked as a newspaperman. In the mid- 1930s, he abruptly returned to Junction City to reflect on "what it was I wanted." He read all the books he could get about the Civil War. He took copious notes for two years and spent the next five writing. 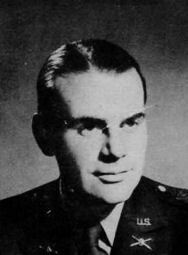 In 1942 Pennell went into US Army gaining the rank of lieutenant in an anti- aircraft batallion. 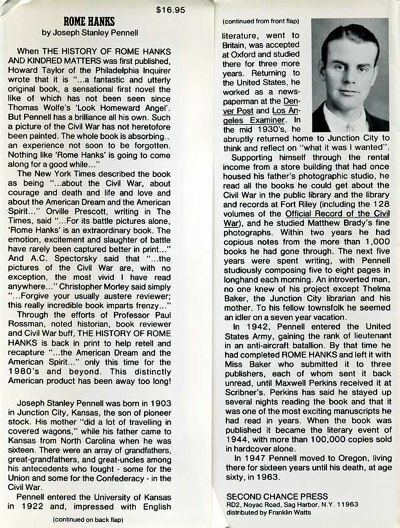 A Junction City librarian submitted his manuscript, The History of Rome Hanks and Kindred Matters, to Scribners, where it was accepted by the famous editor Maxwell Perkins. Its publication was the literary event of 1944. 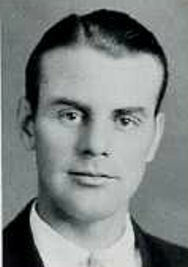 In 1947, Pennell moved to Oregon, living there for 16 years until his death, at the age of 60, in 1963.